Just after sunrise the light was still warm and yellow-orange, but the sky was already blue with just a bit of color haze over the horizon. You can tell it is still cold by the condensation on the side of the building (that is what the patches are). The lines of the cranes and the building make an interesting composition and the warm light goes well with the yellow metal of the cranes which in turn contrast nicely with the desaturated gray of the building. 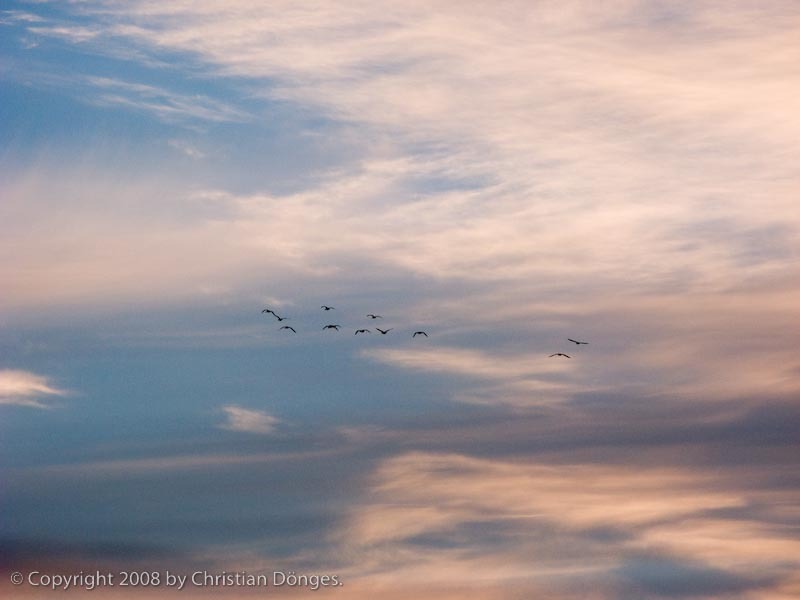 The wild geese took off into the red, pink, and purple sunrise sky. I had a few seconds to capture them, then they were gone. 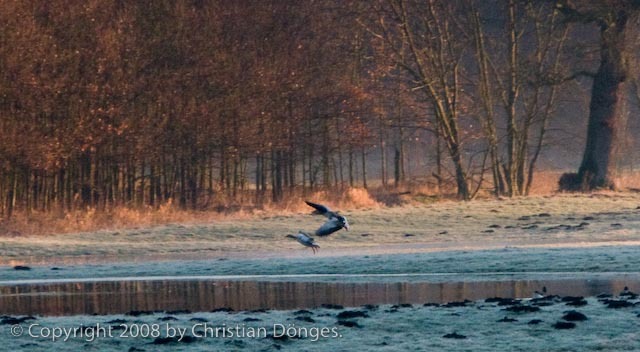 A little bit later than Morning Cranes as the sun just began to rise, the first golden beams hit the edge of the forest just as two wild geese landed on the water. 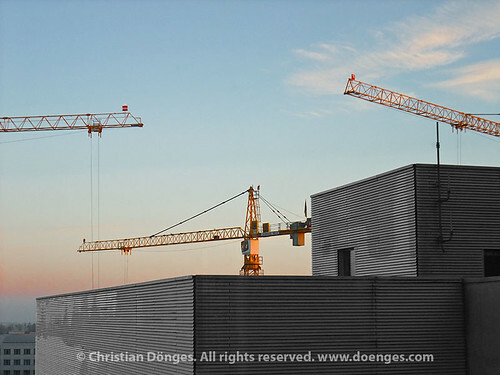 Early in the morning I captured some cranes before sunrise. I love the light airy quality of the pre-sunrise colors. 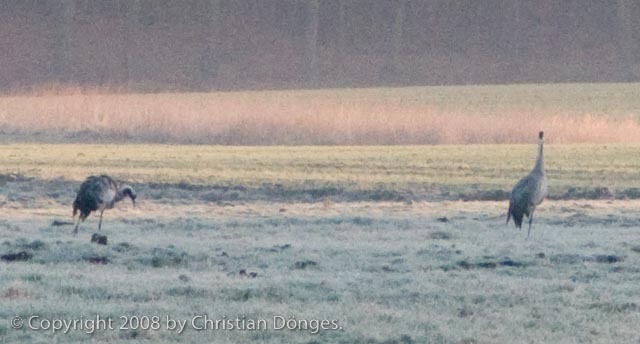 Note the frost on the gras and the way it captures the light. There is considerable sensor noise from the G9 I used to take the picture. I decided to leave the noise artifacts intact because I like the grainy look which I think underlines the misty, slightly foggy quality of that morning.